The Oscars are coming up this weekend. Many people are planning for an Academy Awards viewing party. Be sure to enjoy your Oscars party with a delicious Facundo Rum cocktail. Make your Oscars viewing party a success by serving a Facundo Rum cocktail. This great tasting cocktail will be the taste of your town. Bring a little old Hollywood into your home. Named the NEO Fresco, this cocktail made with Facundo Rum reminds us of the elegance and sophistication of Hollywood’s biggest celebrities. As you watch the actors stroll down the famous red carpet, raise your Facundo Rum cocktail and salute their talent and contribution to the Hollywood movie industry. * Shake all of the ingredients and strain into a coupe glass. * Finish by garnishing with a makrut lime leaf. Offering a dazzling punch is always a wise choice for party planners. MAde with BANKS 5 Island Rum, this elegant punch cocktail is to die for. 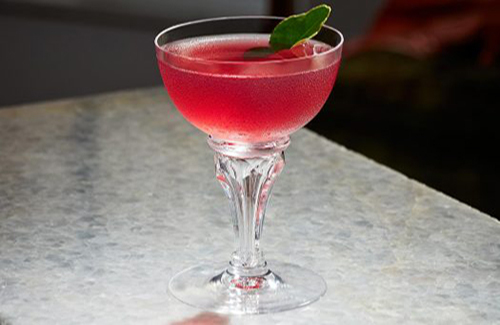 Created by Joel Frasers, the Life in Paris Punch is also paired with Champagne and Absinthe. Sounds so good! * Combine everything but the Champagne in a bowl and stir in the oleo-saccharum until it dissolves. * When ready to serve, fill a punchbowl with one large ice block, add Champagne, star anise pods, grapefruit, and lime wheels, edible flowers. * Finally, garnish with lime wheel and a star anise pod. As a bonus, we wanted to share another cocktail recipe. This one is made with Bacardi rum. For party guests who desire a little more kick in their favorite drink, Bacardi rum comes to the rescue. Bacardi 8 Años Rum helps create a classic cocktail that will appeal to your sophisticated Oscars party guests. * In an Old-Fashioned glass, combine the sugar, water and Angostura Bitters with a bar spoon. * Add half the BACARDÍ 8 Años along with 2-3 large ice cubes, stirring repeatedly. * Pour in the second half of the rum and 2-3 more ice cubes, continuing to stir. Cut a piece of orange peel (about 5cm long); express the orange peel over the drink, releasing the citrus oils. * Lastly, drop the peel into the drink to finish. Make your Oscars viewing party a hit. Serve a delicious Facundo Rum cocktail or one of the others mentioned above. Be sure to stop by again and follow our top luxury blog.